Dongjin is an international leading manufacturer and supplier of industrial valves in the world, Our primary goal is to provide a unique solution for the services of Oil, Gas, Nuclear, Refinery, Chemical, Marine, Portable water, Waste water, Sewage, Power station, Pipeline industries and Urban building. Dongjin Valve Co.,Ltd. 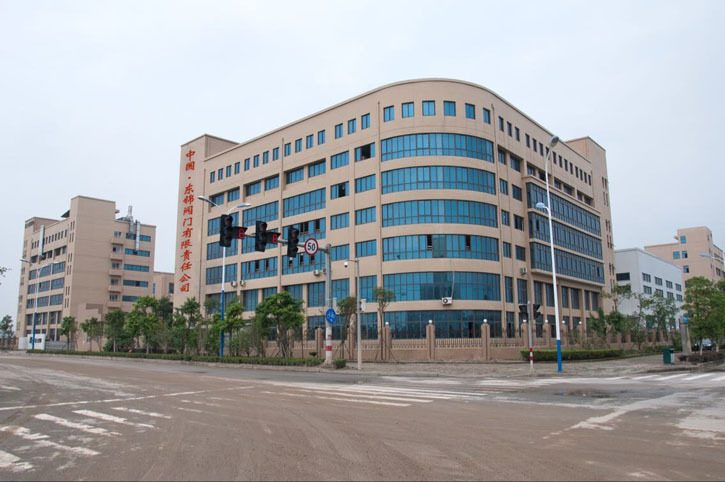 established in 1985, now our company has a registered capital of US$8.35 million, an occupancy of 38,688 sq.m., total 300 staff involving 15 senior technicians and 6 senior engineers, annual production volume of over two million sets of various valves made of different materials. Under hard work of whole Dongjin people, a great-leap-forward development is achieved; it is actually a Silicon Valleyfor valve industry talents. Our company has established various systems and centres like advanced examination and test centre of valve performance, CAD valve design centre, 3D analogue design system of manufacture and test, and introduced vast special equipments including helium mass spectrometer leak detector, direct reading spectrograph, O-ring antiknock laboratory casework, stress test bench, chemical composition analyzer, mechanical performance tester, hardness tester, spectrograph, non-destructive tester, ultrasonic thickness gage and so on, which forms a first class capacity of production and test of valves to ensure the powerful guarantee for producing high quality valves and the quality and development speed of new products and make perfection of quality control system. Dongjin valve has firstly obtained the certifications of ISO9001:2000 international quality system, ISO14001 environmental system, OHSAS 18001 occupational and health safety, CE, TS, API6D and so on.. Leading products in Dongjin Valve consist of cast steel valve and stainless steel valve in accordance strictly with the standards API, ASTM, ANSI, AWWA, JIS, DIN, BS and ISO. Now our valves are exported to nations and regions like South Asia, Europe,USA, Middle East, Africa andSouth Africa. Dongjin provide only the sound quality products and perfect service to all of our customers in the world through its conception” All For The Satisfaction of Users”. We are mainly manufacturing and distributing Gate valve, Check valve, Globe valve, Ball valve, Butterfly Valve and other special valves. Our advantages: ADVANCE PRODUCTION EQUIPMENT & TEST EQUIPMENT, FULL SERIES OF VALVES & CERTIFICATE.